Here we are with the basic policies and customer service commitment by Etihad Airline. Read it carefully before you book a flight to India. There may be a time when flight delay can happen due to various reasons. The airline is responsible to provide the information related to delay to their passengers. If there is any change in flight timings then the airline will notify you. On display screens in the departure area. Upon request on the phone call. On Etihad mobile app and on the official website of Etihad. At the airport in the USA, you will find a team member of Etihad who will be available to assist you and keep you informed about the situation. On lengthy tarmac delay, the flight crew on the board will keep you informed. On the diversion, the flight crew will inform you about the diversion and its reason. They will keep you updated every 30 minutes. In case you are not able to find your baggage within some time then you can file a report. To file a report you have to reach the baggage area. After filing the report the baggage is traced by the World Tracer baggage tracing system. Then you can check the status of your baggage online. If the baggage does not reach the destination on the day of flight then you may get a call from the endeavor with the update of your bag. In case if your bag is not returned to you within 7 days then you can contact to the baggage claim department. 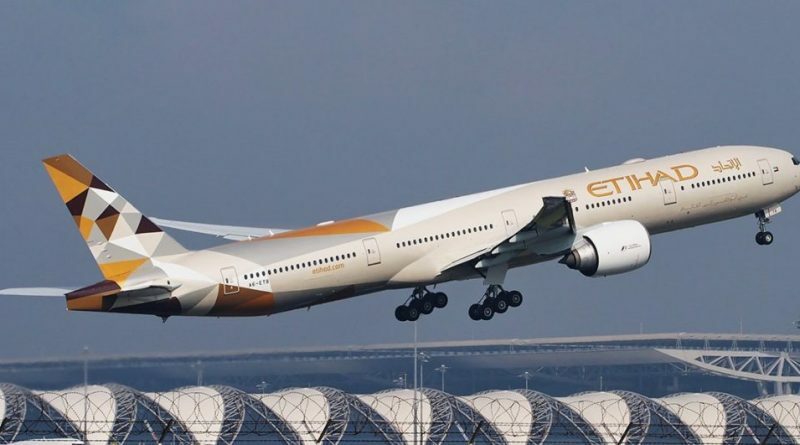 Etihad Airways will refund the additional fee you paid to them for transport of the lost bag. If there will be any changes in your itinerary then the airline will inform you timely. Etihad aircraft have the moveable armrests and onboard wheelchair for the people with disabilities and special need. During lengthy tarmac delay, the airline will provide food, water, and medical assistance if needed. Delay compensation by Airline for delay of 1 hour to 4 hours is 200% of one-way airfare but no more than US$675.00*. For the delay over 4 hours, the compensation is 400% of one-way airfare but no more than US$1,350.00*. The airline will provide the ticket refund after the request of 20 days for check and cash payment. The refund amount may include the charges paid by the passenger for optional services that were not used due to over sale situation. You can request a refund 7 day prior to flight departure if you request it within 24 hours of booking. During this interval, you need to pay no penalty to the airline. The refund will be processed within 7 days by the airline. In case you ask to change the ticket and book a ticket with higher fare then you have to pay the fare difference. In case you book a ticket with lower cost; then the fare difference will be refunded to you. If there is a delay of more than two hours then the airline is responsible to provide adequate food, water, and medical assistance to the passengers. The pilot makes sure that there is no safety-related issue; before taking the decision of deplaning. If the process of deplaning isn’t interrupting airport operations. The airline makes an effort to manage taxi-in delay and diversions in case of delay of more than 4 hours. After every 30 minutes, the airline will provide you the information of delay. Hope this article is helpful to you. Make sure you know these basic things before you book a flight to India. So, next time you plan to fly with Etihad make sure you know these basic policies. It will help you to save the money that you can lose due to a lack of policy knowledge.